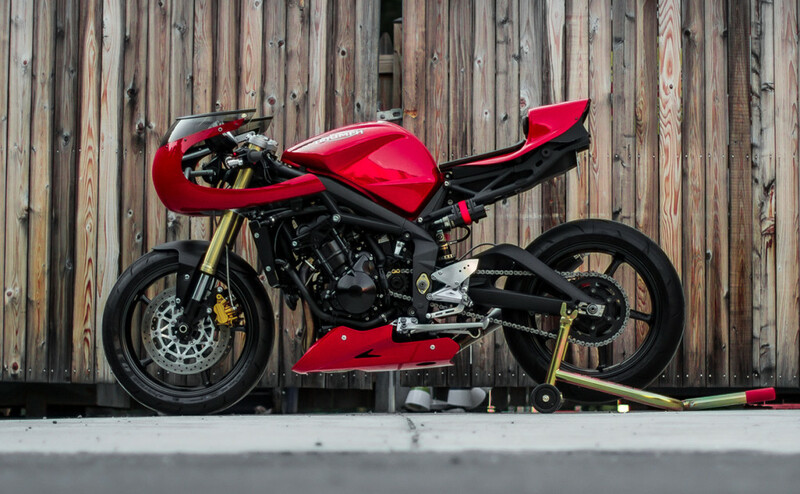 Whenever a race car fabricator turns their attention to custom bike-building, we pay attention. 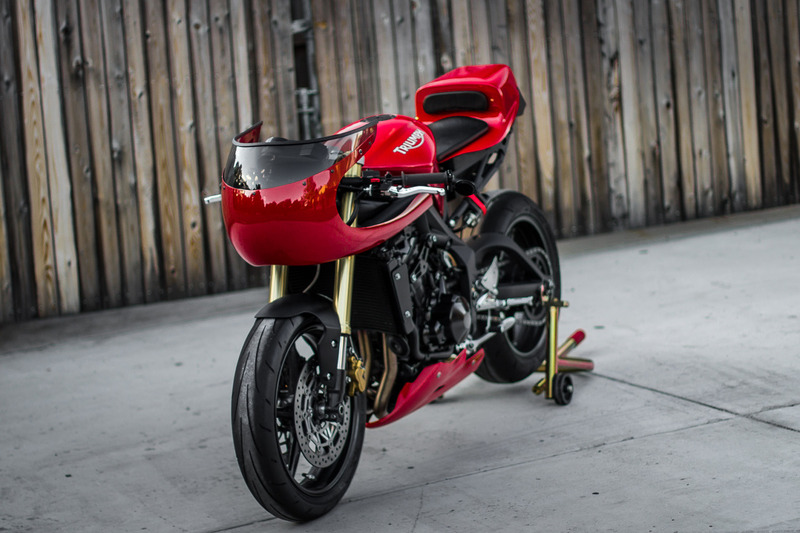 Racers have a special appreciation for light weight, solid geometry, and components that won’t fail under stress. 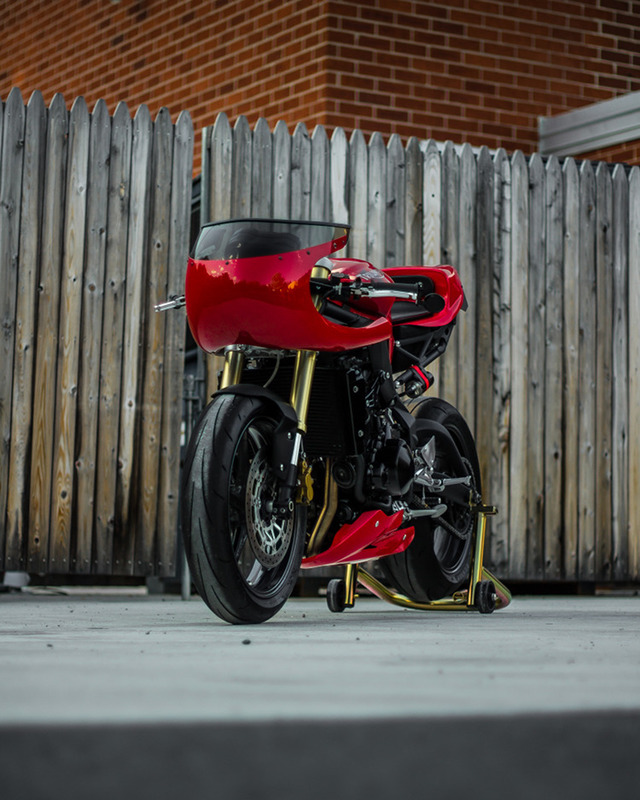 Enter Andrew Jett of Jett Design, based in Washington DC, who has been building 1/4 mile drag cars for the past few years, before turning his attention to motorcycles. 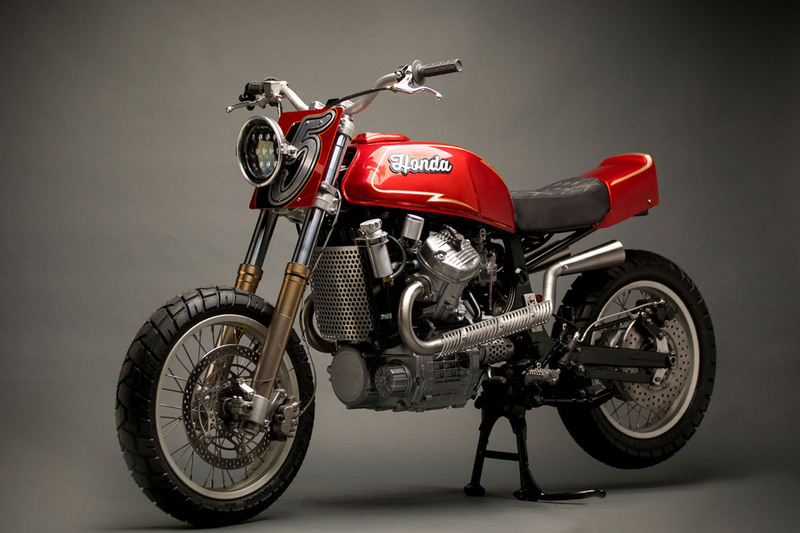 Jett wanted to create a bike that would embody the spirit of the 1970s Gran Prix and enduro racers. 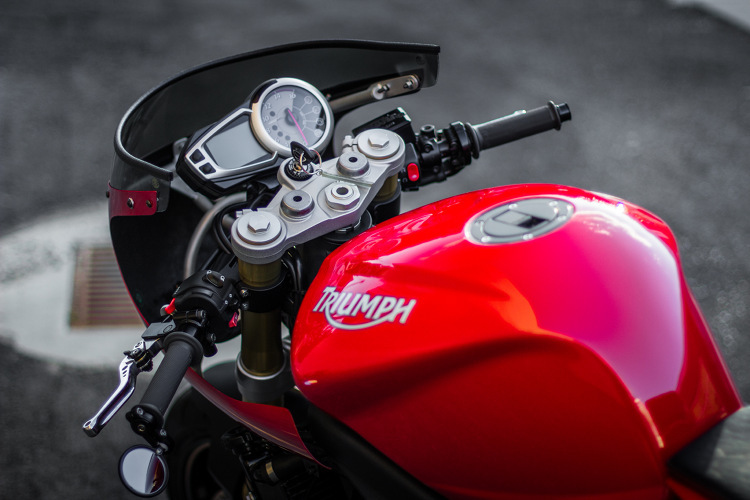 The result is this stunning Triumph Street Triple cafe racer — a lightweight, track-style weapon that both looks and functions better than the original. I am Andrew Jett and over the past few years have been building track cars for the ¼ mile. 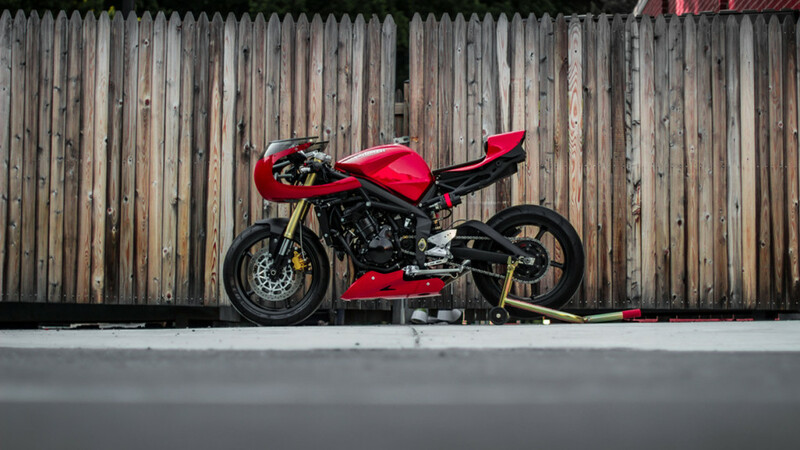 This passion for cars and speed generated my passion for designing motorcycles. I studied fine arts/design in college. 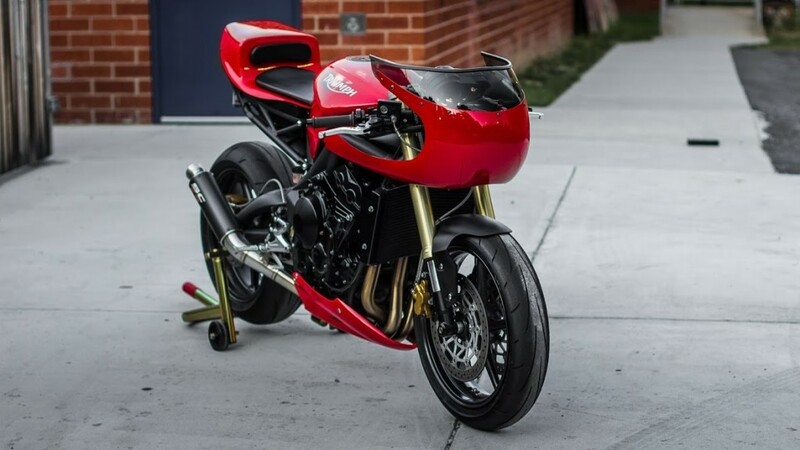 Designing motorcycles has allowed me to merge my creativity with a desire for functionality, and turn it into something real. Triumph Street Triple 675, 2011. 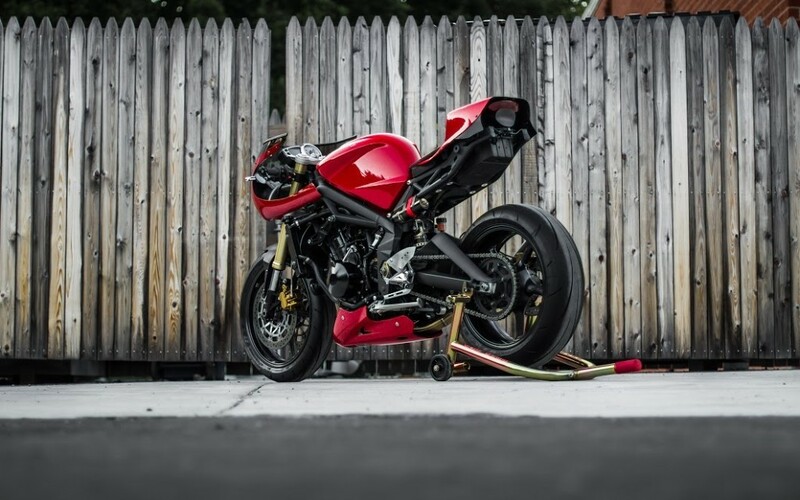 It was originally built for myself as a lightweight track style bike. I went lengthy measures to take off a good amount of weight. 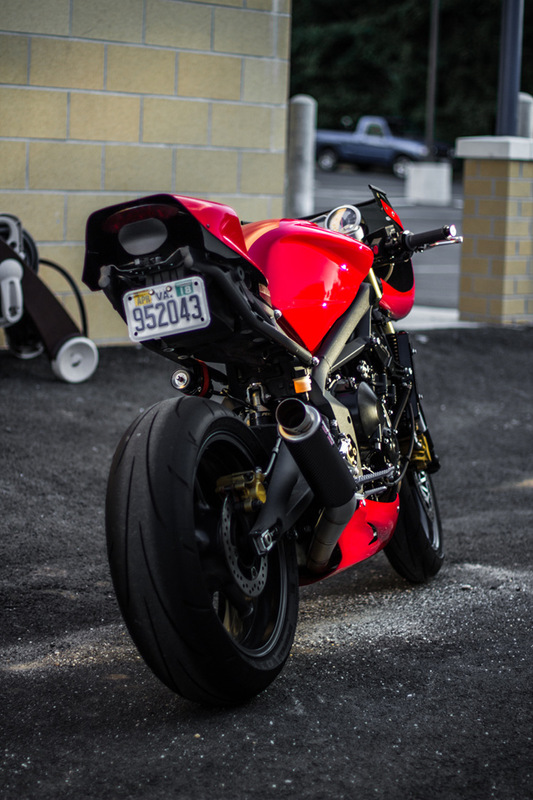 A bike always handles better, accelerates harder and brakes easier when it’s been lightened up. 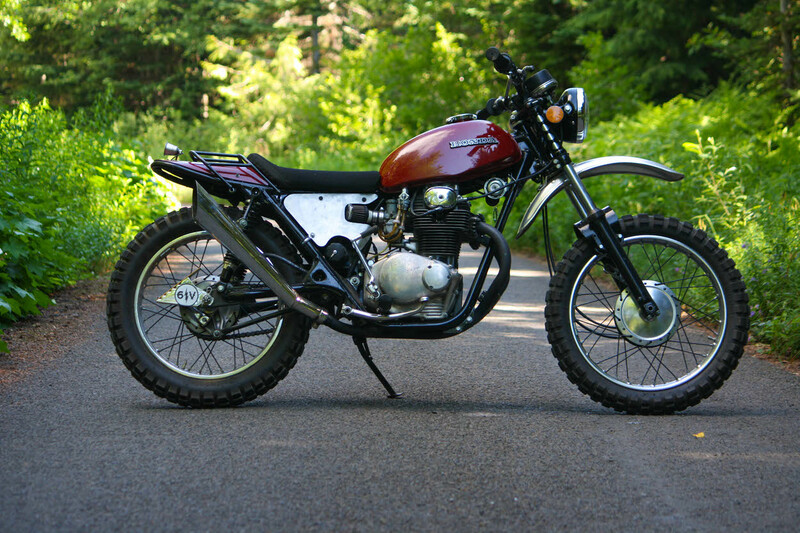 The design concept of this particular build embodies the spirit of the GP and enduro racers of the 1970s, of which I am very passionate. 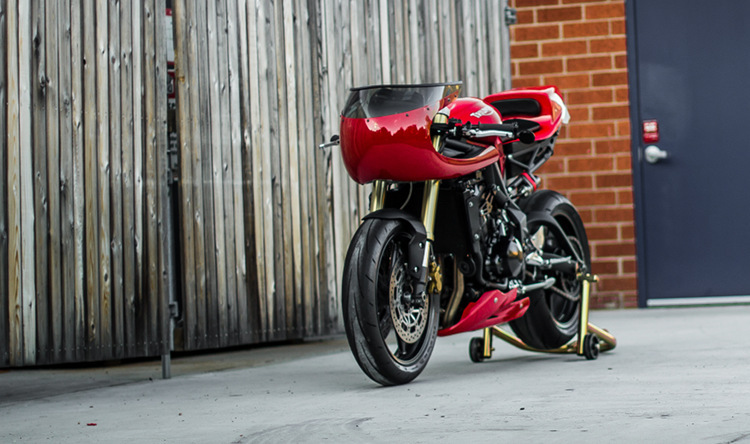 I have always loved the curvaceous front fairings of these vintage race bikes. Custom cut front bikini fairing, custom cut front windscreen, custom hand cut Triumph Street Triple front tire fender, hand stitched seat, custom cut rear tail, SC Project GPM2 full system exhaust, Hand cut aluminum chain guard/ foot guard, re-valved front forks, Penske rear shock with cartridge, Dunlop Q3 tires, hand cut aluminum radiator wings, clip-on handle bar setup, cut and shortened rear sub-frame, custom front aluminum sub-frame by Motorelic. The sharp and low angle cut of the front windscreen.